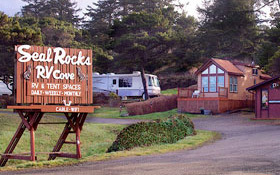 Our Park is located on the magnificent Oregon coast. Close access to sandy beach and tide pools. Watch whales, seals and seabirds. Unusual rock islands at low tide. Search for agates, dig for clams or just R&R. 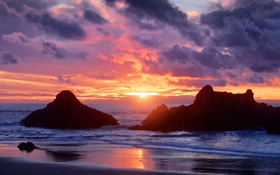 Stunning Scenery, Sunsets, Beachcombing on the magnificent Oregon Coast, adjacent to our park. Take Day Trips from our Park. 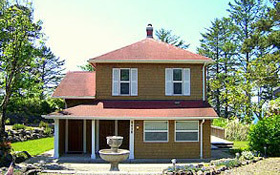 See this beautiful area from Florence to Lincoln City near our centrally located park. Short Walk Down the Hill to a Beautiful Beach. Fairwinds is a two story, four bedroom vacation rental home.